I hope you are all right, I am quite well, thanks. I've already put up a few images - hope you like it! Check out the main vehicles! They are cool, aren’t they? Just like the whole game, you know. Because, as you can guess, it is a game... and its genre is.... well, I am quite unsure about that. But I can’t avoid defining the genre for too long: the industry wants to see easy labels so that these can be stuck on boxes. The genre is (I bravely say) an artillery strategy. Wow, big words, be careful. For me, artillery strategy is a genre that takes me down memory lane. I saw this game being played by my daddy every day when I was a kid. Every day. He played other games, of course, but this one was in his top 5. Oh, and those great times when I was old enough to join him! For him, these were fun times with his son, for me, deadly competitions. I wish I had a chance to play with him again, just the once. But I cannot now. He left us. The memory of those tank battles are with me still, and now that I have three kids, I thought to myself: I have to have the game too. So there you go. 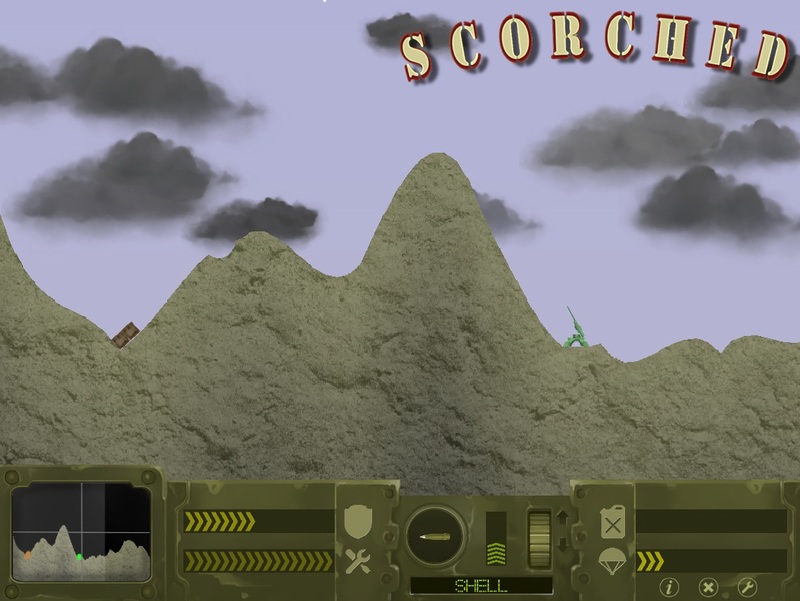 A recollection of a memory of the game of my childhood: Scorched. What is this game - you ask? Simple. You are a commander driving a tank, a rocket launcher or a big cannon. There are other vehicles on the scene who want to eliminate you, so your very first goal is to survive, and possibly remove the others from the picture. You have many resources to work with: there is an armour on the vehicle and so it can survive even a long fall using its parachute. To attack the other vehicles your unit has a multi-purpose weapon with different projectiles. The vehicles are unique, too: the cannon cannot move and the rocket launcher can shoot the furthest. The game has 3 game modes. The first is the career mode, when you start as a rookie private who has just stepped out the gates of Fort Jackson training camp. 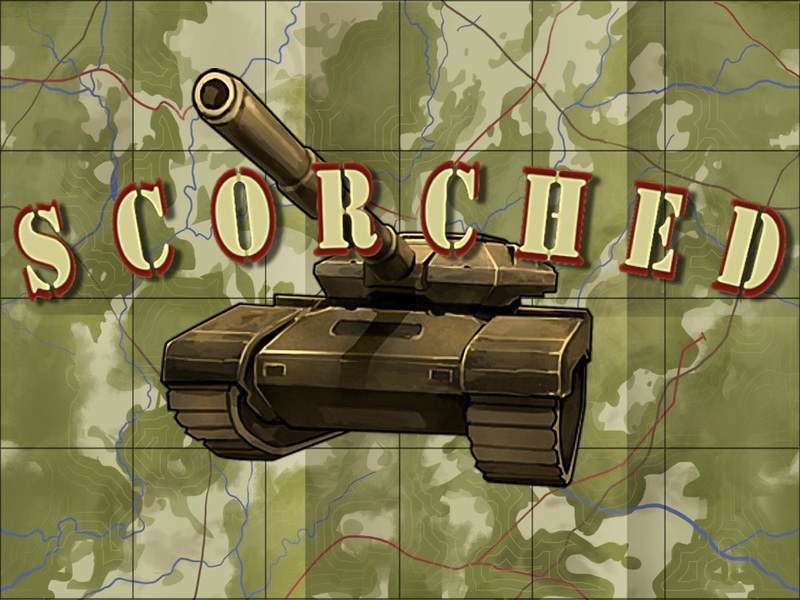 There are numerous battles out there to fight, and as you gain experience, you can develop your units to create faster, stronger or more reliable vehicles to fight with. The second mode is mission mode, when you have to cope with different scenarios. Your decision will affect not just the actual fight, but you can decide when and how you want to attack the enemy, the number and type of units you send into battle, or how you supply your vehicles. There is always an overarching strategic goal: for instance to conquer an area or besiege a town. The third is the multiplayer mode, where you can try out yourself against the evolution polished human brilliance instead of pre-programmed artificial intelligence.